In Lazio you can have it all, the city of Rome, the countryside, the mountains and the sea, in a region steeped in history. Lazio sits halfway down the western side of the Italian peninsula. The region has beautiful countryside, dazzling lakes and rolling hills. It also has some of central Italy’s most affordable rural and village houses within commuting distance of Rome. You can happily combine a relaxing country life with time in Italy’s vibrant capital city. Lazio is often overlooked by foreign buyers in favour of the more famous neighbouring regions of Tuscany and Umbria, yet it has so much to offer, from hilltop villages to sea and lakeside villas. Lazio was once home to the Romans and the Etruscan civilization, so if you love history Lazio is a great region to explore and make your home. Lazio was once home to the Romans and the Etruscan civilization, so if you love history Lazio is a great region to explore and make your home. Rome has two airports which, as you would expect from a capital city, receive flights from all over the world. Ryanair flies from London Stansted, Manchester, Edinburgh, Glasgow Prestwick, East Midlands to Rome Ciampino and also London Stansted, Manchester and Edinburgh to Rome Fiumicino. Easyjet flies from Bristol, London Gatwick and London Luton to Rome Fiumicino. British Airways fly from Heathrow and Gatwick to Rome Fiumicino Airport (FCO). The airports are fairly close to the city so you can hire a car or take a taxi from Fiumicino airport and be in the centre of Rome within half an hour. 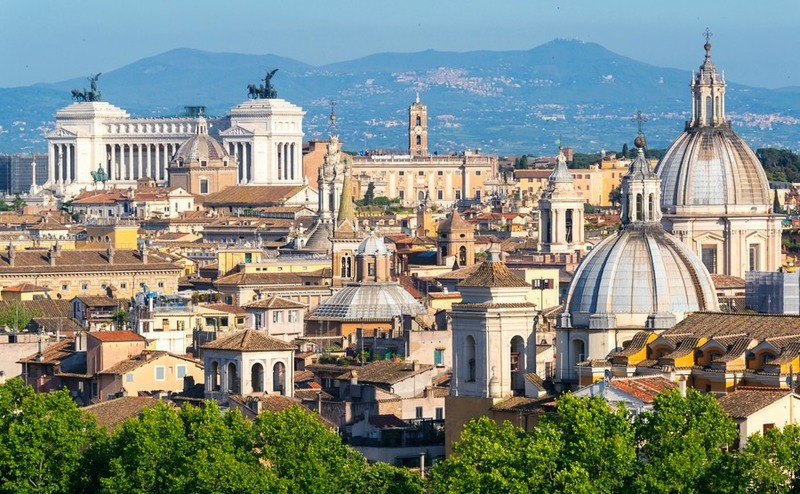 There is also a half-hourly train service from the airport to Rome’s Termini station or you can catch a bus from the airport to Rome’s Central Terminal, which takes about 50 minutes. The Central Terminal is also where all the trains come into the city and prices are reasonable. You could live in or near the very affordable town of Frosinone, and get the train into Rome for as little as €5, with the journey taking little over an hour. Rome is the political, spiritual, and cultural heart of Italy. It was the centre of the Roman Empire and still boasts many ancient architectural landmarks, as well as elegant baroque and renaissance buildings. In Rome there is history around every corner. The Pantheon, the Roman Forum and the Colosseum are just a few of the ancient monuments that testify to the glory days of the Roman Empire. Other architectural treasures include St. Peter’s Basilica (in the Vatican city) and the Trevi Fountain. Rome is a city that visitors keep coming back to, making it a good investment for property buyers looking for a rental income. In fact, tradition says that if you throw a coin in the Trevi Fountain you are sure to come back to Rome. Anyone serious about moving to Italy will have a million questions. 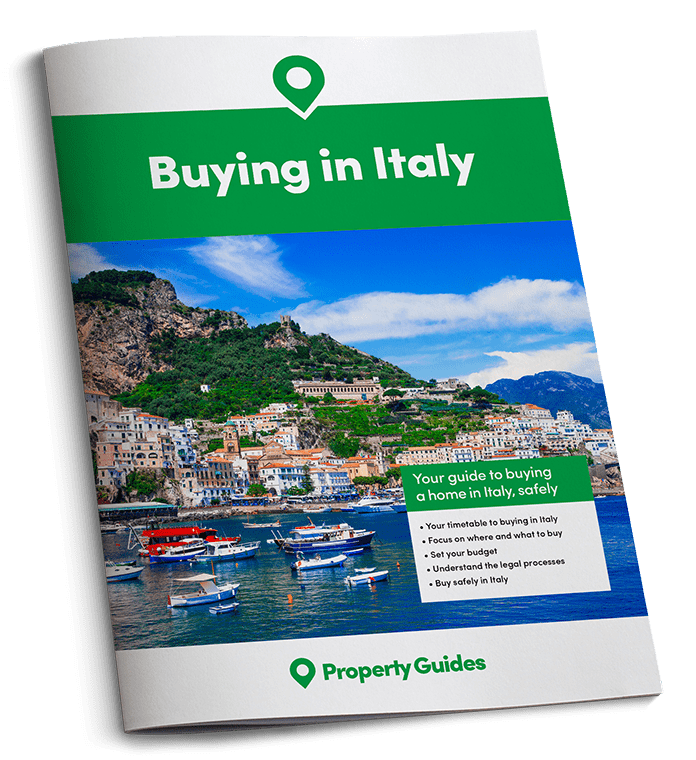 Property Guides will be at Your Overseas Home, a new style of overseas property show where you will have the time and space to speak to Italian lawyers, estate agents and currency experts. Click here to apply for FREE tickets for events this November and throughout 2018. Even though central Rome is always busy with tourists, you can still find a slower pace of life in the side streets, where you can relax outside a café, take a stroll along the banks of the river Tiber and cycle or walk through Rome’s most famous park, Villa Borghese. It is in these narrow back streets that you will find quiet apartments above small shops and restaurants. Rome is a city that visitors keep coming back to, making it a good investment for property buyers looking for a rental income. Rome is Italy’s largest city, with around double the population of Milan, yet only about a third the size of Greater London. As a tourist hotspot, as well as a major employment hub, Rome has some of Italy’s most expensive homes. You can find two-bedroom apartments from €290,000, but expect to pay over €590,000 in central Rome. With the number of tourists and business people visiting the city, rental opportunities are very good. You could charge around £120 a night for a one-bedroom apartment. Desirable areas include Centro Storico and Trastevere. Actor Willem Dafoe and his Italian wife have a property in the exclusive area of Piazza Vittorio. If you are looking for the ultimate luxury, head along the Via Appia Antica, one of the original seven roads dating back to 312 BC. For many years Sofia Loren owned a beautiful villa here, which is advertised for sale at £34million. The region’s loveliest country areas include ‘La Tuscia’ in the north of the region, bordering with Tuscany and Umbria, the Sabine Hills northeast of Rome, the Albano Hills to the southeast, and the wild open spaces of ‘Ciociaria’ in the far south. According to Italian news website “ilsole24ore” Will Smith has bought a farm in Sermoneta, in the province of Latina, nestled among the olive groves and overlooking the Caetani castle. Orlando Bloom has bought a farm with grazing land to the north of Rome, in the Giustiniana area. La Tuscia is a place of enchanting Medieval towns, rolling hills and Etruscan remains. A popular area is around the clean waters of Lake Bolsena, Italy’s fifth largest lake. You can still find village houses in the Viterbo province for under €100,000. Lake Baracciano is within a twenty-mile commuting distance of Rome and has lovely lakeside homes. Tom Cruise married Katie Holmes at the castle here in 2006. 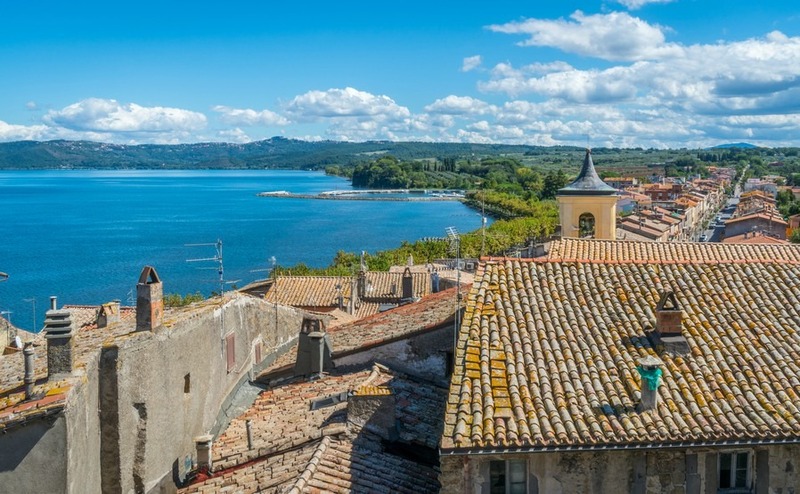 Due to its proximity to Rome, property prices are higher than Lake Bolsena, but the area is a beautiful haven just 30 minutes train ride from Rome and has some superb properties. East of Rome – If you are looking for a home you can rent out to tourists then the countryside around Tivoli is sure to please, as this famous spa town is home to two villas on the UNESCO world heritage list. Villa D’Este, with its splendid fountains, gardens and magnificent renaissance palace, and Villa Adriana, the ancient residence of Emperor Hadrian. Frosinone – Due to the E45 motorway you can easily visit Tivoli and Rome from the province of Frosinone, which has some of the cheapest property prices. A few British people have already bought in Veroli, which has charming properties for sale and palazzos with beautiful frescoed ceilings. In Patrica the Mayor is even offering properties for just one euro. (See my previous article). The Frosinone area has a good selection of village homes and apartments on Rightmove at very low prices. Lake Albano and the Albano Hills are also worth looking at, where you’ll find many attractive little towns. If you want a seaside property near Rome, Cerveteria is a short drive from Fiumicino airport, Rome and three golf courses, making it perfect for a weekend getaway. 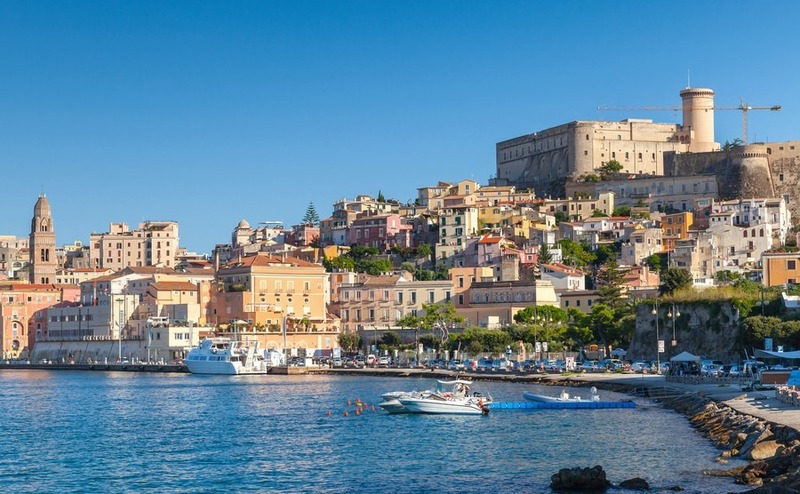 Lazio offers some good seaside towns such as Gaeta, Sabaudia, San Felice Circeo, Ostia, Sperlonga and the Islands of Ponza and Ventotene. The Province of Latina in particular boasts some lovely beaches lapped by the Tyrrhennian Sea, along with old villages and the National Park of Circeo. In Gaeta a two-bedroom waterfront apartment can cost less than €300,000 and further into the Medieval town they start at around €150,000. Other properties in the Latina province include country houses and luxury villas. Those who prefer the mountains can choose from nine ski resorts such as Terminillo, Leonessa and Campo Staffi, or enjoy trekking, mountain biking and climbing among the region’s peaks. Lazio’s spas are also a prime attraction for those seeking health and beauty treatments and relaxation; Fiuggi, Tivoli, and Viterbo, to mention just a few, combine ancient charm with well-equipped facilities. For more information about Villages and towns in Lazio visit the “Visit Lazio” website.